Get your free, comprehensive stereo master monitoring & metering plug-in! 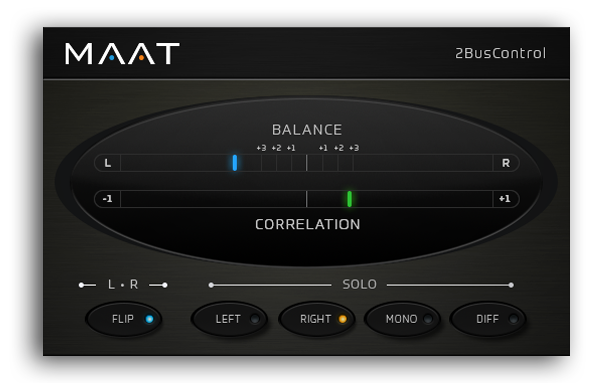 Available for all major plug-in formats, including VST/VST3 and AAX for macOS and Windows plus Audio Units for Mac OS, 2BusControl offers five essential options for specialized monitoring modes plus highly responsive and user- friendly metering for left/right balance and correlation. Solo is available post-metering with a single button push. Traditional left/right soloing (as phantom center) can be chosen, or the equally useful MONO/DIFF(erence) or M/S (Mid/Side) rendering of the soloed signal. In addition, the stereo perspective can be swapped or flipped with the left and right channels changing places. Each solo control is a single button, allowing you to check placement and amplitude easily for all aspects of your mix. Usable metering is another essential for any engineer, and options are equally practical, with stereo balance and inter-channel correlation occupying the upper half of the user interface. Unlike prior products that provide similar metering functions, 2BusControl´s measurement and display algorithms adhere to our guiding philosophy of enhancing your workflow and improving ergonomics through careful attention to the way you actually work. Ballistics are meticulously tuned to achieve the best match between the aural impression you hear and the optical rendering by the meters. All of 2BusControl´s functionality is wrapped in an information-rich yet visually unobtrusive user interface that occupies only a small slice of screen real estate. Likewise, the plug-in is "light weight" demanding a minimum of CPU resources so it won´t slow down your host. As an introduction to everyone in the audio community,we’re giving you this free and rather useful plug-in. Thanks for visiting, and we hope to be working with you more in the future! 2BusControl delivers indispensable monitoring controls, plus visually expressive metering. 2BusControl is economical of both screen real estate and host computer resources. 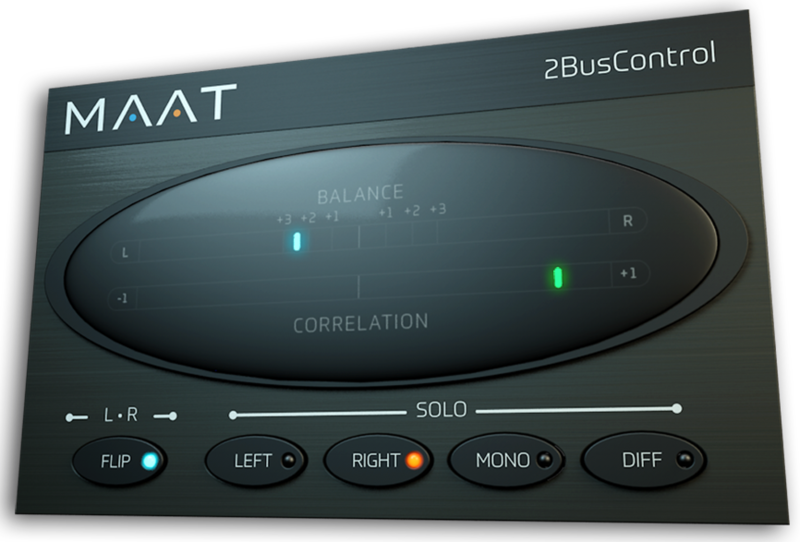 2BusControl works on macOS and Windows, across all modern plug-in formats. Simply register for our newsletter and get your free 2BC!